Each April the department hosts the Annual Undergraduate Colloquium to showcase undergraduate excellence, with a film screening of historical documentaries produced by undergraduate students, a presentation of a digital history project, the presentation of awards, and a reception for faculty and students. The first History Society Undergraduate Colloquium was organized in 2004. 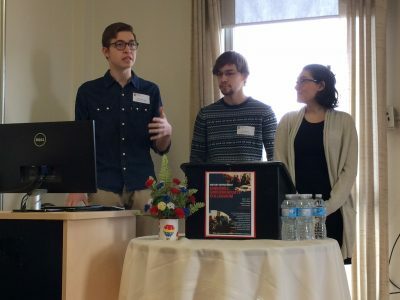 Led by Patrick Watson, a group of activist history students sought to launch an annual forum to showcase noteworthy research produced by their colleagues. In 2014, on the occasion of its 10th anniversary, the colloquium was renamed in order to reflect the generous pledge of ongoing support from the Frank Underhill Endowment Fund. The occasion is now known as the Underhill Undergraduate Colloquium, but its mission to inspire and promote excellence in undergraduate research remains unchanged. Each year essay prizes are awarded at the Underhill Undergraduate Colloquium, on the recommendation of the Department of History, to the students whose work has been deemed as representing undergraduate excellence. A total of 8 Underhill Undergraduate Colloquium Essay Prizes are awarded. Prize winners and programs from previous years are listed below.